The true stars of any art form are the ones who prevail through the test of time and hardship. They are stars because having achieved success on their own merit through perseverance and determination is testimony to their dedication, and as a result their superior craftsmanship. 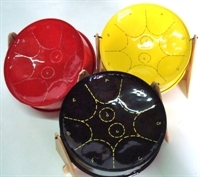 These qualities have been to contributing factors to the success on many legendary musicians today, and similarly are the reasons why Dane Gulstonis of tremendous importance to steelpan music. Born in Port-of-Spain, Trinidad, Dane began his musical career at the age of 7 at his grandmother’s home. One of his earliest influences was his uncle Steve who was an active member of the Trinidad All Stars Orchestra. 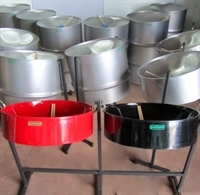 He became a member of the Panazz Steel Orchestra in 1992. He was also a member of his primary and secondary school band, South East Port-of-Spain Secondary School. Dane is a consummate percussionist and is also proficient in playing the congas, bongos and timbales. 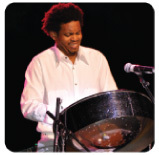 As a student of music, he excelled in his field and today is considered one of the best steelpan players in the world. He has participated in numerous competitions including the Trinidad and Tobago Panorama and Ramajay, placing third in the Pan Music Festival of 1988.